The 2010 and 2011 MHSAA Division 1 State Championship winners squared off in a much-anticipated semi-final game this previous Saturday. Cass Tech and Lake Orion, teams that were ranked high in the polls all year long, battled it out in a 2012 semi-final game that lived up to all the hype leading up to the game. The Technicians of Cass Tech struck first on a 71 td reception from division 1 recruit Damon Webb following both teams going 3 and out on their first possessions. The Dragons would not wait too long to respond. In fact on the ensuing possession that is, senior running back Jacob Miller plowed in from 1 yard out to tie the game at 7 all. The big play on the drive being a 57 yard reception from slotback Christopher Leigh. The Technicians would re-take the lead on their next possession. Michigan commit Jourdan Lewis returned the kickoff to the Lake Orion 21. 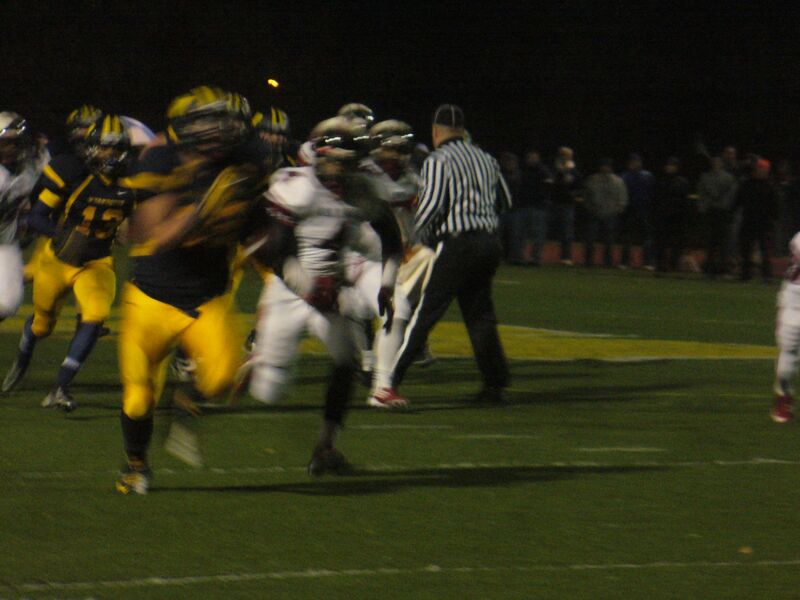 Setting up a sophomore running back Mike Weber for a 5 yard td. Following another 3 and out for the Dragons, Cass would strike again. Cass would score on a 8 yard td run from Jayru Campbell, but on this drive, Cass had to work for it. Campbell completed a pass to Weber on 4-4 setting them up for the td. Lake Orion’s next drive would stall again and they would be forced to punt. Lewis was back at his goal line when he received the punt and raced for what appeared the be an electrifying 100 td return, only to brought back on a penalty. Cass would do nothing on their drive giving the ball back to Lake Orion before half. With under 10 seconds to play in the half, senior quarterback Derek Delaura would find fellow senior Chaz Miller going across the middle for a 10 yard td to put the Dragons down only 7 21-14 going into half-time. Lake Orion and Cass would not do anything of their first possessions to start the 2nd. But Lake Orion would tie the game up at 21 on their 2nd possession of the 3rd quarter. Methodically passing the ball down the field, Delaura would find Jeremy Miller in the end-zone. Cass would respond to the pressure with a td of their own. Lewis would come up come up with 3 big receptions on the drive and one of them being a 29 td catch. Never count out the Dragons, slotback Corey Ester would sprint to end-zone for a 71 run to again tie the game so it appeared. The Dragons missed the pat which would’ve tied the game. Cass’ next drive would take them all the way to the Lake Orion 4 set up by a 26 yard rush from Weber. Cass would try to power the ball in but failed all three times. Coach Wilcher called a fake field goal trying to catch Lake Orion napping, but the Dragons were ready, stuffing Campbell back behind the line of scrimmage. Lake Orion desperate to get something going could not get a first down. Finally on 4th down Coach Bell decided to go for it and failed. 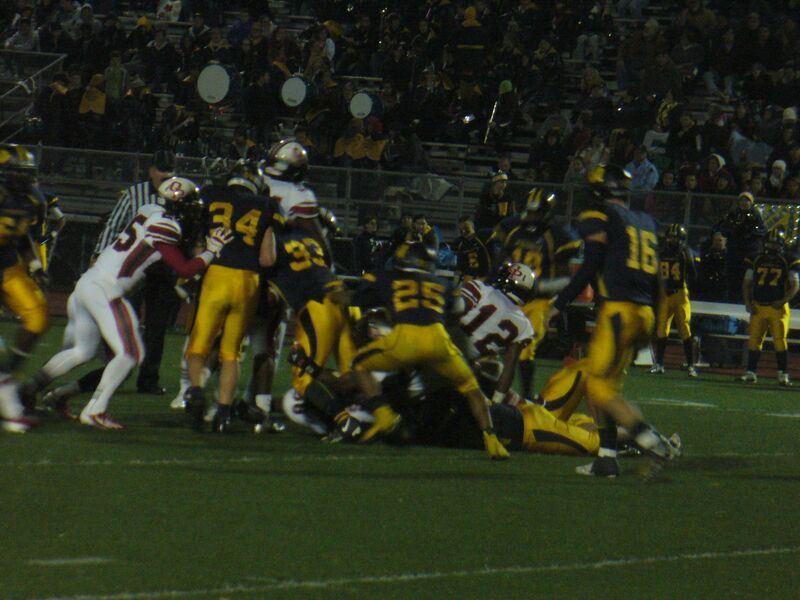 Cass would take over on downs inside Lake Orion territory and Mike Weber went in from 10 yards out to seal the game. Lake Orion would have one final drive but could not do anything. I was impressed with multiple things in this game from Cass. Their passing game, Jayru Campbell was looking for that one game where he could say “I took it over.” Campbell went 10-13 for almost 200 yards in the effort with 2 passing and 1 rushing td. A great individual performance. The running game. Cass has averaged about 300 yards on the ground all year. Recently Mike Weber has stepped in the playoffs. He had over 100 yards in the 4th quarter. A great sign for the green and white going into the championship game. Finally the Defense. The Cass defense really showed their toughness throughout the game. For the most part they held a very solid Lake Orion ground game. Cass must do it again if they wish to beat Detroit Catholic Central, a team that loves to run the ball, in the championship. The best game in my opinion in Michigan is Cass Tech vs. Lake Orion at Troy Athens High School. 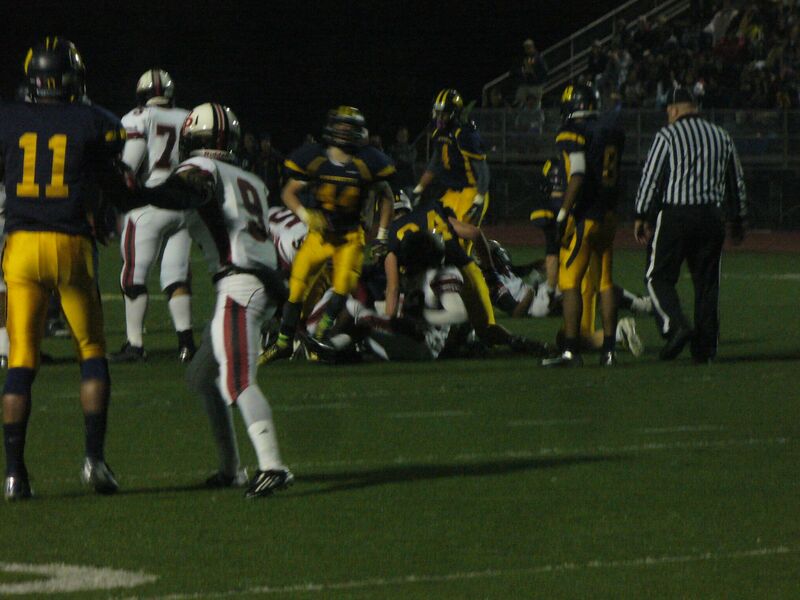 The very game was played in the 2010 state semi-finals. 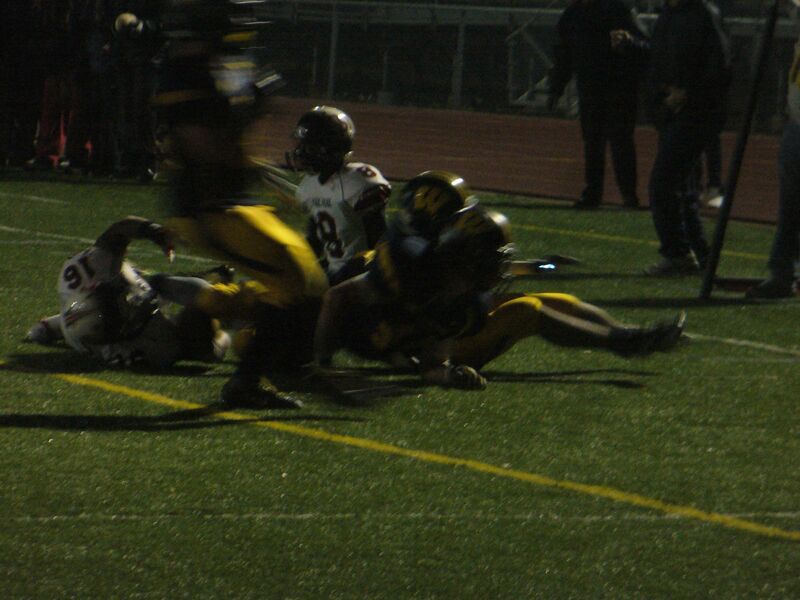 In that game, Cass had the ball inside the Lake Orion 10 yard line with under a minute left to play. 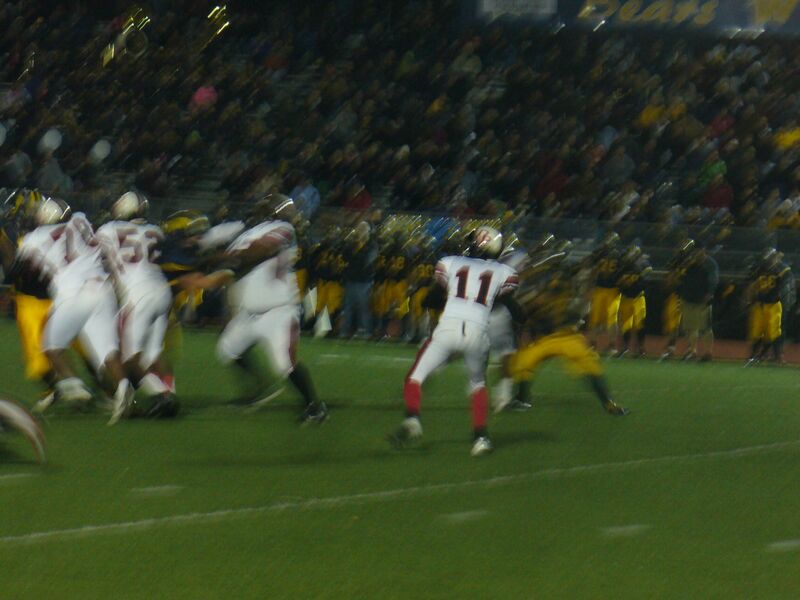 Senior quarterback Keith Moore took the shotgun snap and was rolling to his left on an option play. Looking to pitch the ball to wideout Kishon Wilcher, a Dragon player came out of no where and hit Keith in his attempt to pitch the ball. The fumble was recovered by Lake Orion, sealing the game and sending the Dragons to Ford Field where they beat Plymouth for the Division 1 State Championship. This year Cass comes in with a different identity than the 2010 team. The 2010 Cass Tech team was called the “track team on turf” by some people, due to some of their players being under five foot nine. The 2012 Cass Tech team, is certainly just as fast as that team, but they are also bigger. The offensive line of Cass Tech is one of the best in the State of Michigan led by two 280 plus linemen David Dawson, and Michigan State commit Dennis Finley. These two will have to be on their game if Cass hopes to have success with Mike Weber and Gary Hosey in the running game. For Lake Orion, they just beat Macomb Dakota in the regionals last week by a score of 51-35. The Dragons have an explosive ground game. Running backs Jacob Miller and Christopher Leigh both had big games vs Dakota last week. One thing about the Dragons is that they call themselves a spread team but they are under center more times than they are in the shotgun. They love to send receivers in motion just about every play either handing the ball to them on a jet, or faking a handoff and giving it to a running back on a little belly play. This game will come down the execution for both teams. If Cass hopes to win, they must play solid defence especially in the running game. If they give up 300 or more yards on the ground, this game will go to Lake Orion. Lake Orion must establish the run game. The Dragons don’t throw the ball much, which could be a problem if they are trailing late in the game. 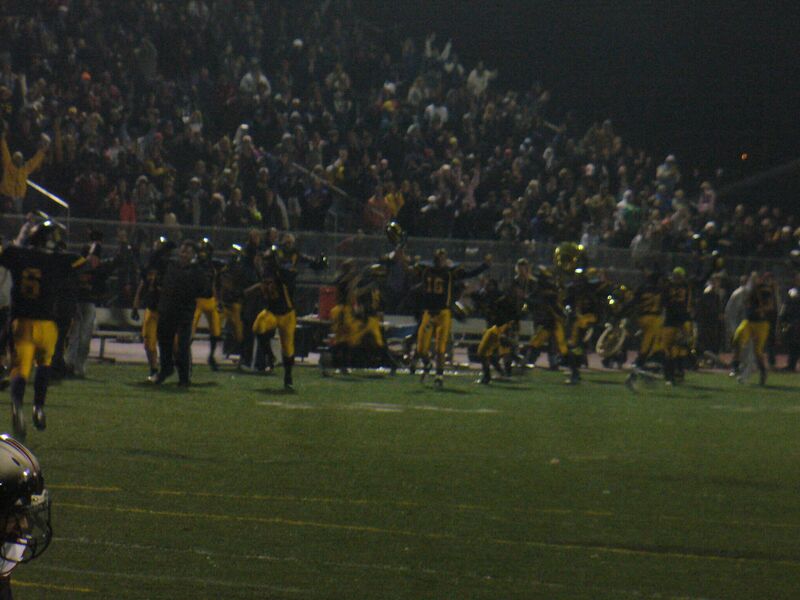 In the end, Cass will get its revenge in the 2010 semi-finals sending them on a return trip to Ford Field. Wyandotte junior receiver Brandon Sowards came up big for his Bears in the regional championship game vs. Oak Park. Trailing 6-3 with under five minutes left in the game, senior quarterback Kevin Matejko lofted one up into the end-zone, and Sowards was underneath it to catch the ball for the winning td. The Knights of Oak Park traveled to Wyandotte to take on the Bears in a regional championship game this previous Friday. Oak Park came in to the game beating rival Southfield 19-12 in overtime while the Bears beat Downriver Champion Taylor Truman 9-0. Both teams had good defenses and this proved to be one of the best games in the State. Oak Park scored on their first possession of the game. Methodically moving the ball down the field. Senior WR Brian Williams connected with fellow 12 grader Dellontae on a third down conversion to set up a Malik Washington one yard scamper. The Bears went three and out on their first possession giving the ball back to the Knights. Sophomore sensation John Kelly took a handoff and raced all the way the way down to the Oak Park 10 yard line for a 55 yard gain. 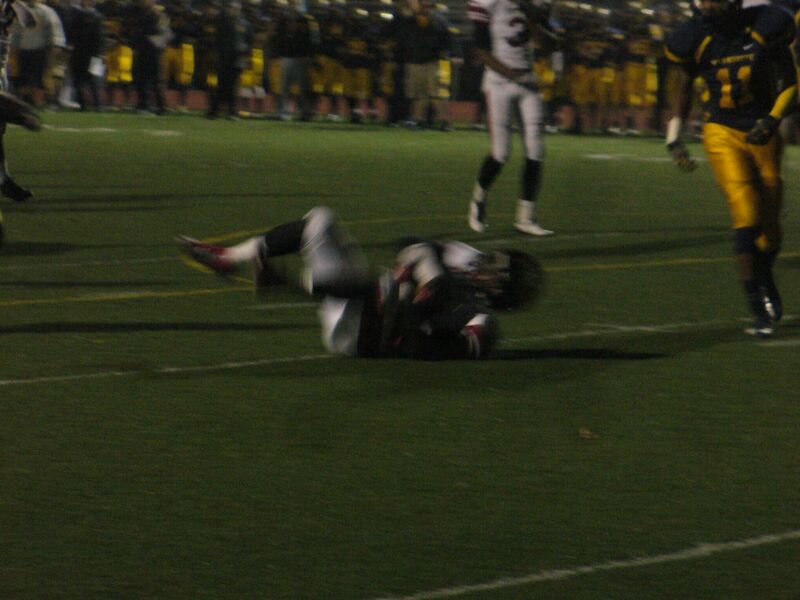 Oak Park failed to get the ball across the plain as Johnson’s pass intended for Joshua Friday fell to the ground. Wyandotte would score in the middle of the second to make the score 6-3. The key play on the drive being a 14 yard reception by WR Brandon Sowards. The 3rd quarter flew by with both teams trying to control the clock. The Bears tried to get the ground game going with big six foot 246 pound running back Kyle Matjeko. The drive would stall at the 30 yard line giving the Knights the ball. 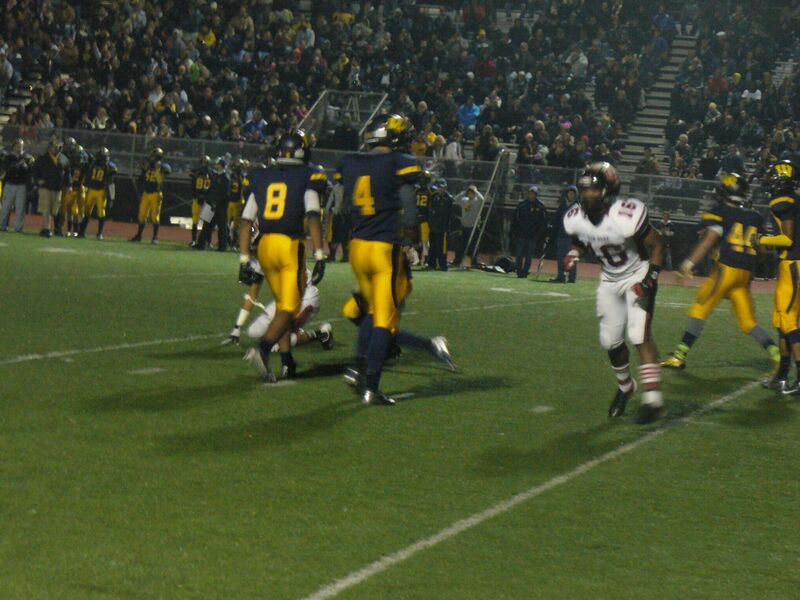 Oak Park would fumble the ball at the Bear 36 yard giving the Bears excellent field position. Now this is werethings got interesting. Kyle Matejko would rush for what appeared to be 30 yard rush to put the ball inside the Knight 10, but a holding call prevented the gain putting the ball closer to mid-field. With the clocking ticking down, Senior Bear quarterback Kevin Matejko would find Sowards all alone in the back of the end-zone to put the Bears up for good. Oak Park would not give up with out a fight. Backup qb Nate Simms would find Timothy Daniel sprinting down the sideline to put the ball at the Bear 25. Oak Park would drive all the way down to the Bear 5 yard line. Once again, the Knights put in another quarterback, this time being transfer Mario Morris to run the wildcat. On the play to decide the game on 4-5, Morris rolled out to the left trying to get the ball to Brian Williams but the pass fell incomplete sealing the win for the Bears. This victory gives the Bears their 2nd ever regional title in school history. The Bears now move on to face the defending division two state champions Brother Rice next Saturday in a semi-final matchup. The Division 2 Region 4 District 1 championship in the MHSAA Football State Playoffs featured a rematch of OAA White Division rivals. Oak Park, the division champion, defeated Southfield 24-18 in week 4 of the season. Both teams came into todays game beating two Detroit PSL teams. The Knights of Oak Park defeated Cody 35-20, while Southfield took down King 22-19. The game started with both teams struggling to move the ball on a cold night, resulting in a 0-0 tie at the end of the first quarter. But on the very first play of the second, Jeff Madison of Southfield took a pass from fellow senior QB Tre Walton for a td to give the Blue Jays a 6-0 lead. On Oak Park’s ensuing drive, the Knights drove all the way down to the Blue Jay one, but failed to put points up on the board. The final scoring of the half for either team came on a Malik Washington td run to tie the game at 6 heading into the lockers. The third quarter was very similar to the third. Both offenses struggled to find weakness’ in their opponents defenses, resulting in a tie to head to the final quarter of regulation. Southfield running back Gerald Gates powered in for the Jays to give them a twelve point advantage with 6 minutes remaining. 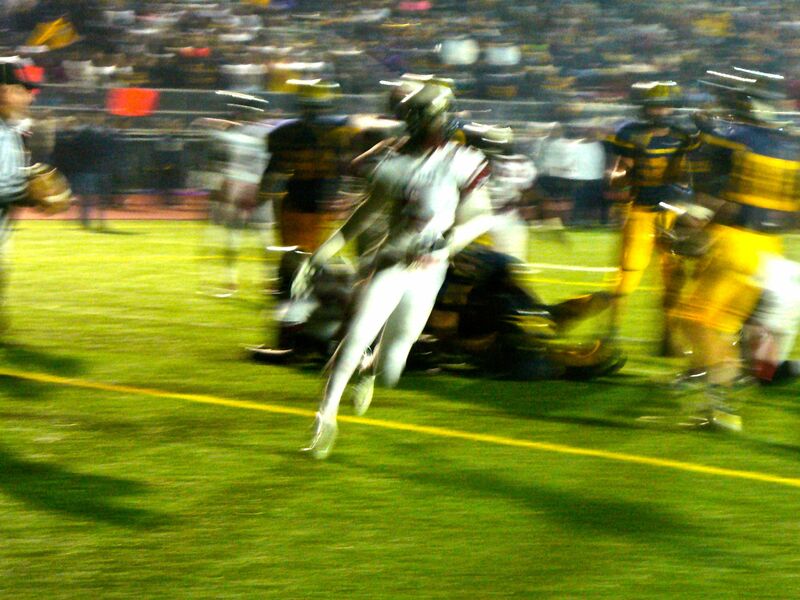 But on Oak Park’s first play from scrimmage, Malik Washington scampered in from about 60 yards to tie the game at 12. 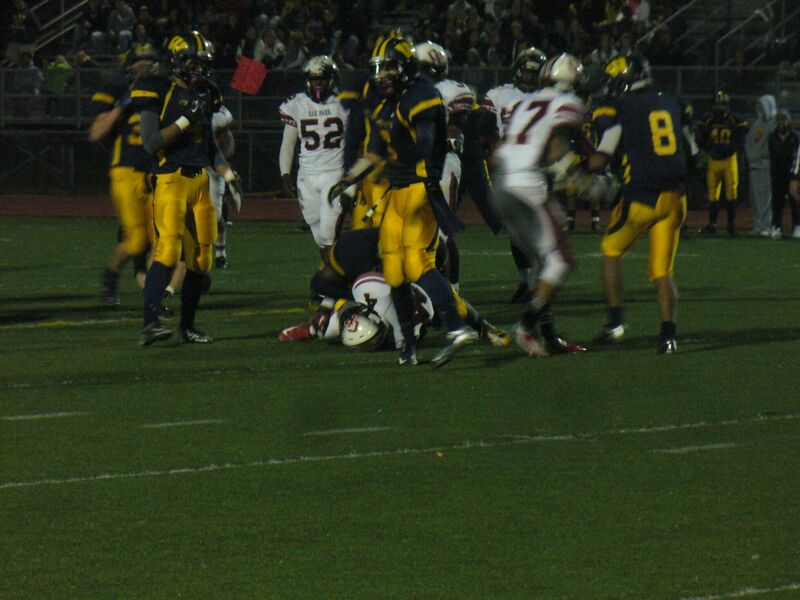 Southfield had one last drive to try to win the game, but a Tre Walton pass intended for Brandon Bean was picked off in the end-zone to send the game into overtime. Oak Park got the ball to start overtime and scored on a controversal touchdown call that gave the Knights a 19-12 advantage. On Southfield’s turn, Oak Park stopped the Blue Jays inside the one yard line giving them the victory. Southfield ends their season with a record of 7-4 while the win gives Oak Park a 9-2 record. The Knights will travel to Wyandotte to take on the Bears Friday night for a chance to win a regional championship.